When it comes to iPhone devices, game boy emulators are always conventional in terms of usage, but the fact is it is hard to come. People who all are often seeking applications that are out of the official store on their iOS devices will go for jailbreak option. So, the jailbreak users always show their preference over the choice like GBA.emu and the games are like PSP, Game boy, super Nintendo and N64 require a jailbreak. Jailbreak is nothing but that crack the process and allows the games to play on your device. In this case, most of the preference in recent days was GBA4iOS which is game boy emulator for iPhone device. But the flaws found in GBA4iOS tend to allow the users for downloading the apps from AppStore. This thing will majorly happen, once the iOS device should be jailbroken. You can also find the issues that often happen after the jailbreak is done. So, people who all are seeking for the best alternative emulator here is the best opportunity for you to make use of it. Yes, it is none another than an emulator called Delta emulator. Also check out this alternative emulator: NDS4iOS Emulator on iOS. 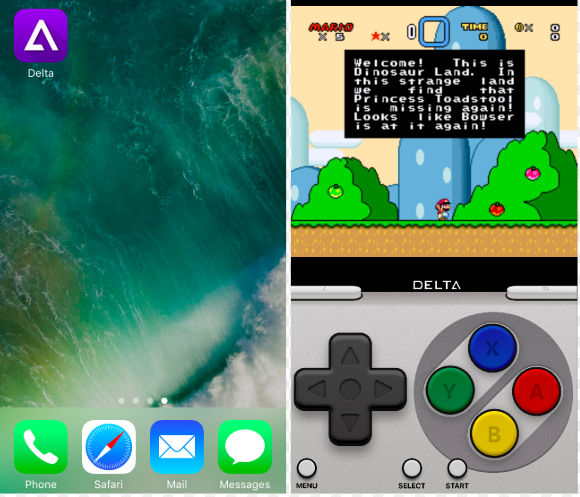 Delta emulator is highly allowing your iPhone device to play game boy games that too without any jailbreak option. So, it is the best way to close the chapter of GBAiOS and using delta emulator. It will also allow the user to save ROMs on an iPhone device and play it in the right space of a device. The major highlight of delta emulator is where the user can perform games in landscape or portrait orientation at any time. Also, the users can make onscreen buttons into transparent as per their wish on their phone. This advanced emulator has made of a better engine which is smooth and delivers a good outcome. One must admit that the delta emulator is going to be one of the best emulators which are going to break down all the vintage games to play. To experience a better gaming experience, you need to install delta emulator that too without jailbreak. 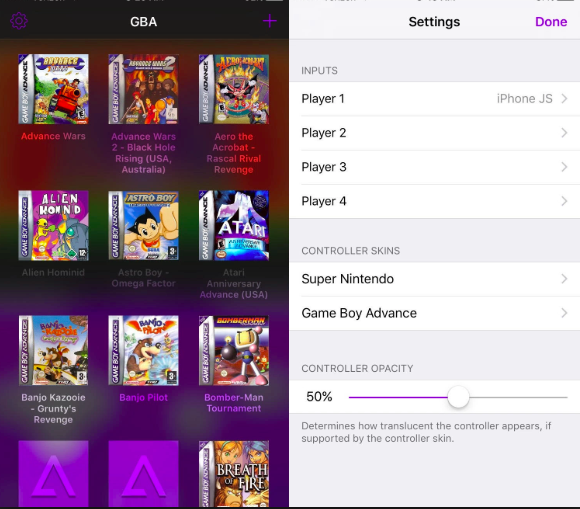 Delta emulator is much powerful than the GBA4iOS which contains with high-quality features. 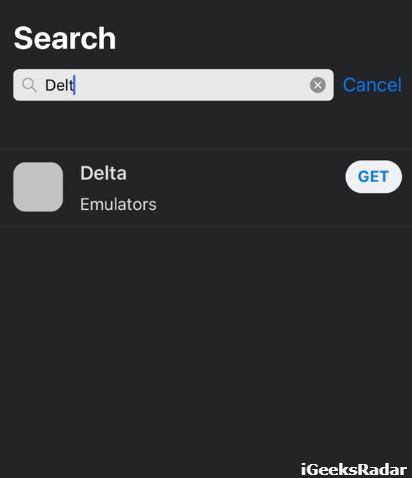 Check out the steps to install the delta emulator on your iOS 12/12+, 11, 11.1,11.2.5 and 10+ devices. Delta emulator seems one of the best among all the other top emulator which are used for the iOS devices. You can experience fantastic games on your device using iOS devices without jailbreak. It’s good to have an application like delta emulator to download and install on your iPhone or iPad. Do you want to install tweaked apps and games on your iOS device without any JailBreak or Cydia Installation? Read More: Download and Install TweakBox for iOS devices without Jailbreak. We recommend you to follow the tow best steps to install the delta emulator on your device. So you can follow either one of the methods to install the delta emulator on your device to enjoy the various updated features easily. 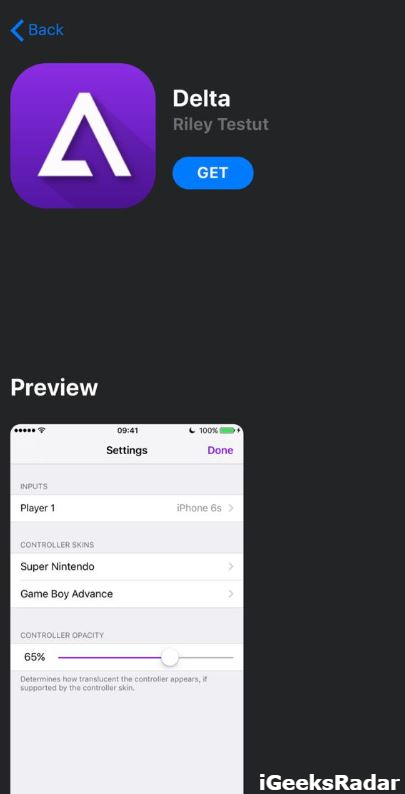 Earlier Version: GBA4iOS Emulator on iOS 12/11.4 & iOS 11.3/11+ iPhone/iPad Updated. First, you have to open Safari browser on your iOS phone and visit the online site using the official link http://bit.do/deltaemulator from your browser. Now click on the download option available from the official site and next hit the install button. Now the installation process starts automatically. The installation process will be completed within a minute. Then open the settings option, head into general and visit the profile section to verify the desired profile. Now it’s done you can able to use it without any trouble. In case, you found any problem of unable to download move to the second method without wasting any time. Flash Update: [How-To] Protect your iPhone from Trustjack Attacks[Step by Step]. You need to connect your iPhone/ iPad device to the PC/laptop. 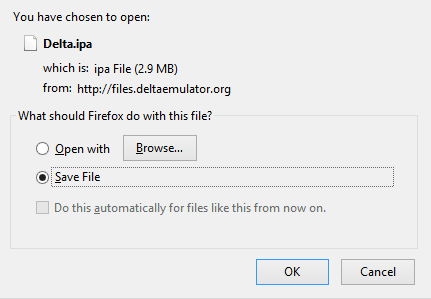 Now download the IPA file of delta emulator from http://bit.do/download-delta-ipa. If you do not install Cydia Impactor previously, then Download Cydia Impactor from here with the installation process and install it as well. After getting these two things, you need to launch Cydia Impactor on your Windows system or Mac. You will see your device where you want to sideload Delta Emulator on the Cydia. Select the device and drag and drop the IPA file to the impactor. While you start to install, you will be asked to enter Apple ID for verification. You may add an alternative id for security purpose. Now it is started to install the emulator on your iOS 12/11+ device. After completing, you can see the Delta icon on the springboard. While you tap on it to launch, can see a prompt with a message that the app is not started due to the untrusted developer. To trust or verify the emulator, go to Settings -> General -> Profile and Device Management. Find the profile here and trust it by following screen instruction. Now launch the delta emulator on your iPhone/iPad to download the gaming applications. You can get this application using another third-party app store: AppValley & HiPStore. AppValley is a third-party App Store that houses a plenitude of hacked and modified iOS applications. 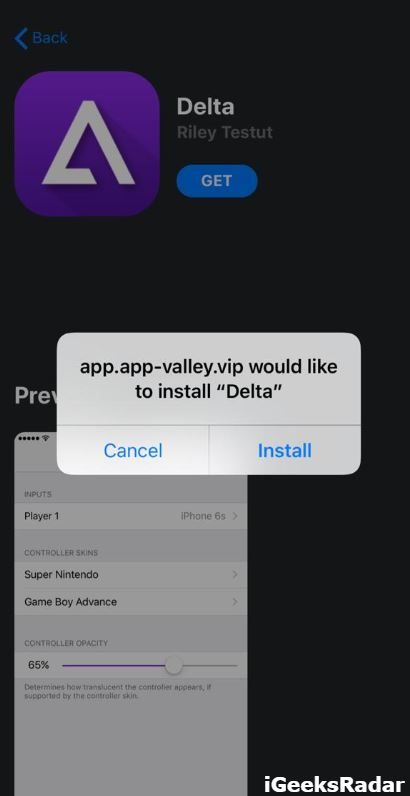 If you wish to install Delta Emulator from AppValley, please download and install AppValley first on your iOS device from here. Once you have installed AppValley, make sure that you trust its profile in Settings -> General -> Profiles & Device Management prior to launching the application. Next, launch AppValley and conduct a search for Delta Emulator. Tap on the search result to navigate to the application information screen. From here, tap on ‘Get’ to initiate the process of downloading and installing Delta Emulator on AppValley. That’s it! Within a few minutes, Delta Emulator will be present on your iOS device. Make sure you trust the profile of Delta Emulator prior to launching the same. Delta emulator is the right choice for the iPhone or iPad devices to install unlimited game apps on your device. It supports various games and provides authentication to use on your iOS devices. So it’s effortless to install the delta emulator on your device which has extensive features, unlike any other applications.